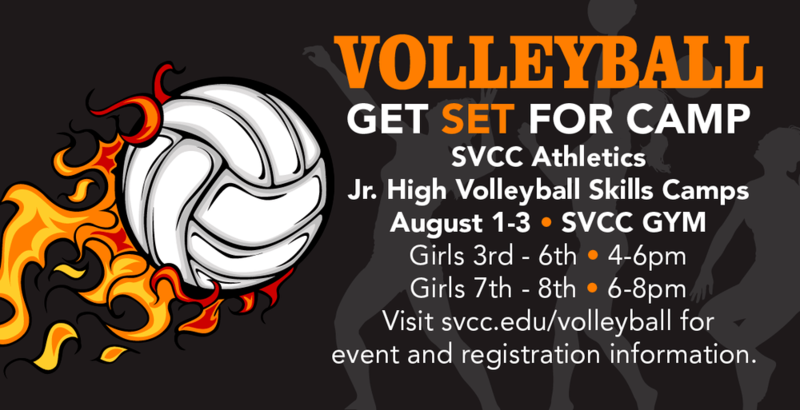 SVCC Athletics will hold instructional Volleyball camps August 1, 2 and 3 from 4-6 p.m. and 6-8:00 p.m. in the air-conditioned Sauk Gymnasium. Camp is open to girls of all skill levels entering grades 3-6 (4-6:00 p.m.) and grades 7-8 (6-8:00 p.m.). The camp focuses on individual skills and overall knowledge of the game. Athletes will develop skills with current Skyhawk players at a fun, positive pace through repetition and live-game play. Cost for the camp is $40 and includes a camp T-shirt. For more information, please contact jay.p.howell@svcc.edu. Download sign up and release form and mail form and payment to Jay Howell, 173 IL RT 2 Dixon, IL 61021 or bring them in the first day of camp.